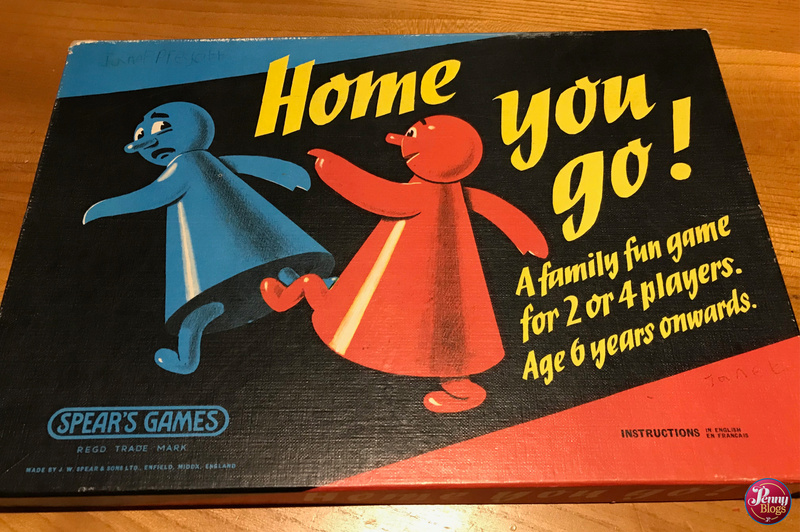 Could a board game have a title that sounded any more Brexit than “Home you go”? The cover artwork’s not much better with a poor blue counter having a look of fear on their face as they’re kicked from behind by a red one. Whatever your views on the current political mess here in the UK, let’s turn our attentions to this vintage gem from Spear’s Games that I found at a car boot sale for a pound. Home you go! is a game that was actually completely new to me, yet when I shared a picture of us playing it on Facebook loads of people remembered playing it as children, often with their grandparents. I believe this box artwork dated from 1968, but there’s nothing on the box I have to tell me exactly how old it is. The copy I picked up is certainly in good condition though. There’s a previous owner’s name on the box, and it’s very slightly scuffed, but inside everything is laid out exactly as it would have been on the day the game was bought. The main aim of Home you go! is to get to the other side of the board. As a game for 2 or 4 players (slightly overlooked when we tried playing for the first time with three of us!) players sit opposite each other, and the aim is to get your five playing pieces across board, rather than round it. Playing pieces can only move forwards, staying in their lanes, and how many spaces they can move is dictated by the roll of the die. If you land on a square occupied by an other piece then you say “Home you go!” and that players piece has to return to its starting square. You are able to move over and past opponent’s pieces if you throw enough to do so. To get to the other side you have to roll the exact number, and the finishing position can not be already occupied. This would be the case if the opposing player had been sent home. What you can do though is get a larger number and “bounce back” off the last square. 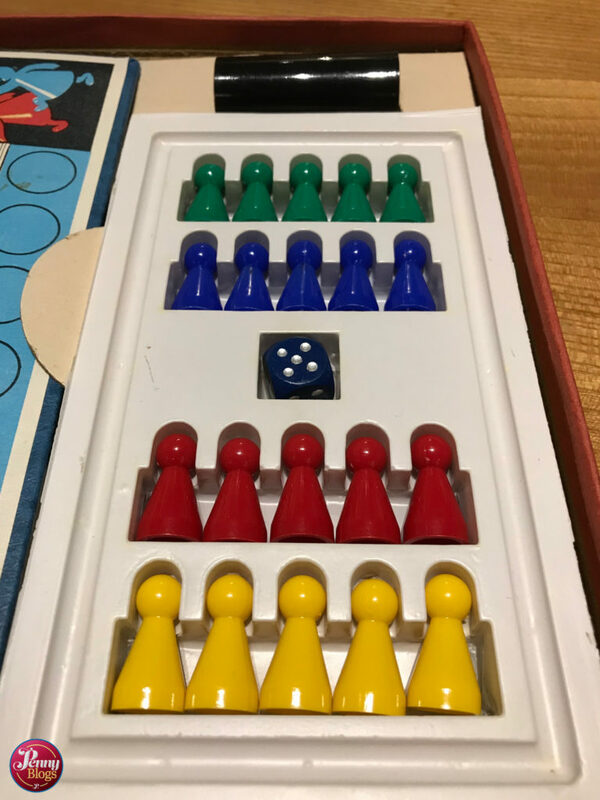 The winner of the game is the first player to have his five men on the opposite side of the board. 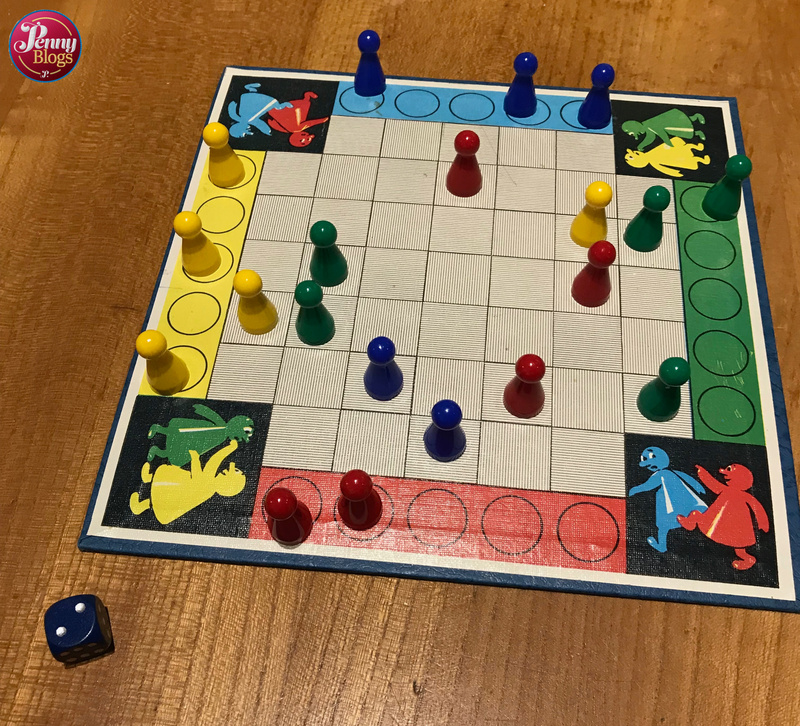 What really confused us, and then confused us more when we looked at the (rather brief) instructions, was what happens if the finishing position that you are sat on then becomes occupied by another player’s piece. So if you are already sat there and someone else in the game, coming at them at right angles, sends then home. Do they then send you home? 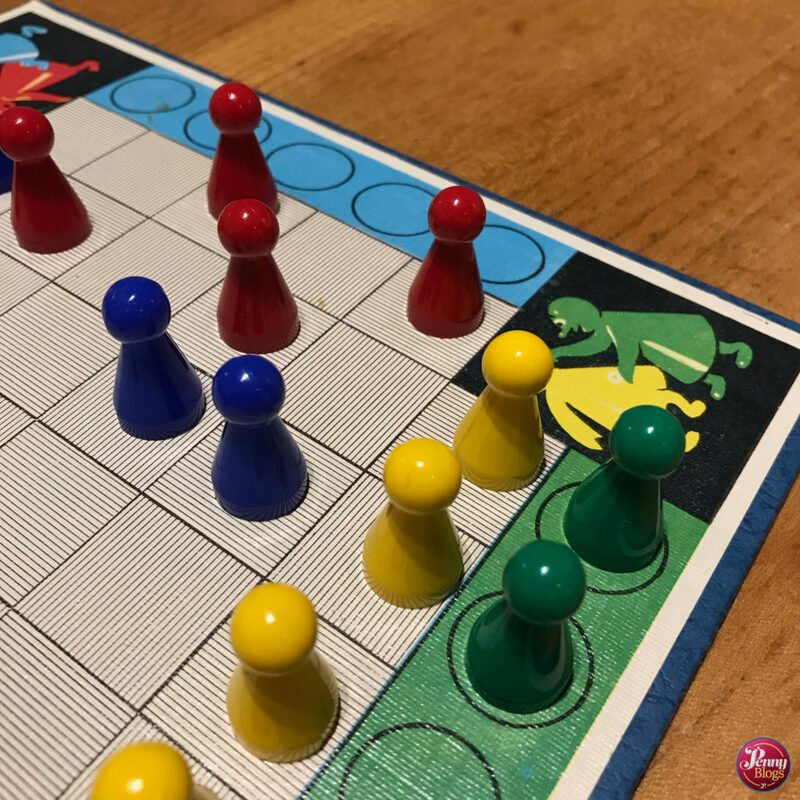 Are you aiming to get to the other player’s coloured squares, or the row in front of them? I’m going to be honest and say that we didn’t exactly fall in love with Home you go! The game just didn’t really flow for us, and I found the forceful nature of concentrating on trying to send the opposition back home not really the sort of thing I wanted to do with the kids. It was as if that distracted from the aim of trying to get across the board. Maybe that’s just the way my two were playing it? The confusion about exactly where you were supposed to be getting to didn’t help either. Or maybe we were just all being a bit dim when playing? The vintage version of Home you go! that we played was published by Spear’s Games. It is designed for children aged 6 up and two or four players. A modern version of the game is available online. 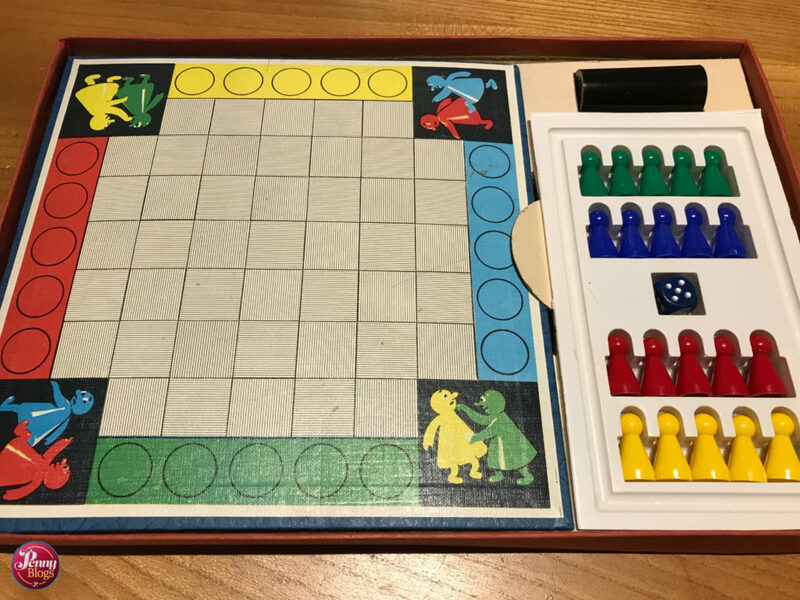 If you’re interested in vintage board games then why not head over to Facebook and join our new vintage board games group. Disclaimer: This post contains an affiliate link. All opinions remain my own.